I find it immensely fascinating how a human being can have such talent. I mean if you walk across a building, a well-known one and just look at it. You realise that someone actually made that. The measurements, the materials, the design. It’s just an incredible thought. Now after seeing these pictures I had a sort of pensive look on my face for quite some time because, damn. How can someone who is human create this piece of art in the form of a building – I mean wow . 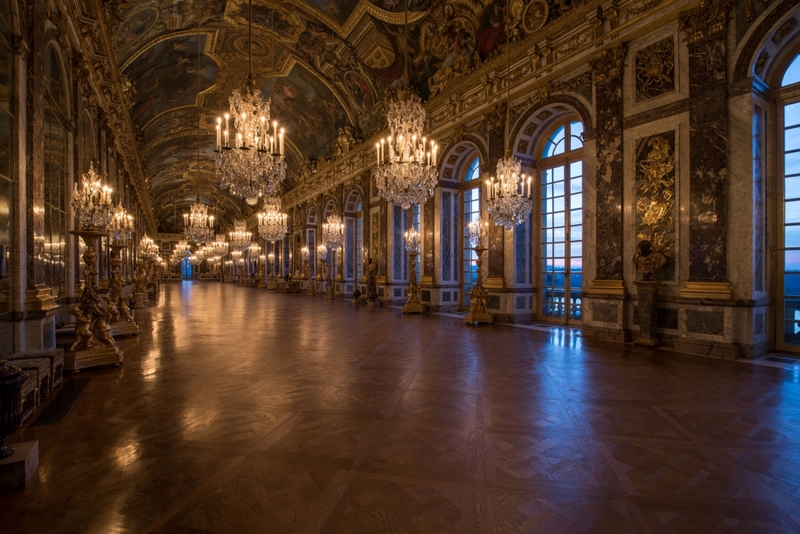 Ok so here’s a little bit of information about the stunning hall of mirrors at the palace of Versailles created by the famous Jules Hardouin-Mansart ! Jules Hardouin-Mansart was born 16 April 1646 in Paris. He was under the tutelage of the renowned Francois Mansart who was also his great-uncle. Now his great uncle apparently was one of the originators of the classical tradition in French architecture. 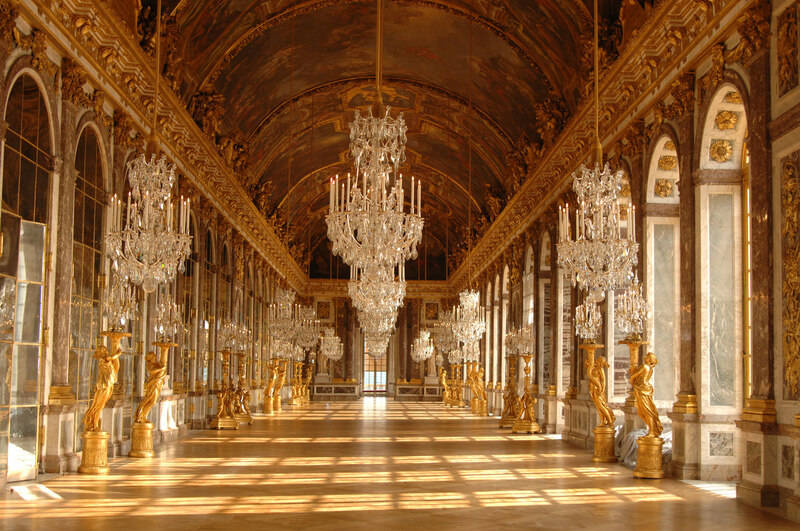 The construction of the Hall of mirrors began in 1678. The principal feature of this hall is the seventeen mirror-clad arches that reflect the seventeen arcaded windows that overlook the gardens. 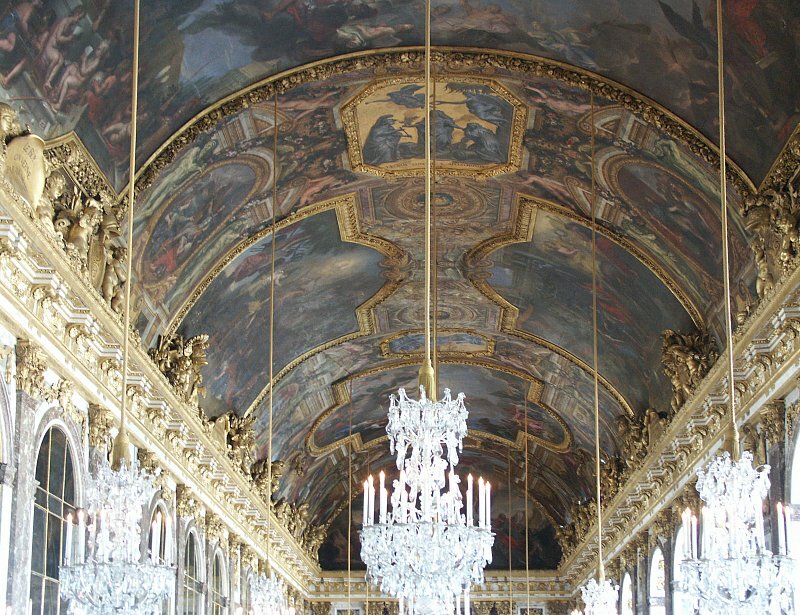 Each arch contains twenty-one mirrors with a total complement of 357 used in the decoration of the galerie des glaces. The Hall of mirrors was used quite frequently, actually daily as the king would walk from his private apartment to the chapel. Look at that ceiling ❤ the time & effort put into each colour and painted image. Thank you so much Jules Hardouin-Mansart ! oh what a dream that would be. I wish they still had those royal ball and dances. Its sort of sad how that part of history is disappearing 😦 . This hall reminds me of that scene in bbc’s War & Peace. Me too! That was such a romantic scene, in the book as well. Oh, it must have been a dream for those lucky girls having their first dance in a place like Versailles. Or in St. Petersburg. Honestly Elizabeth I would do anything to go back for a day or two and spend time taking everything in at the Winter Palace & Versailles . 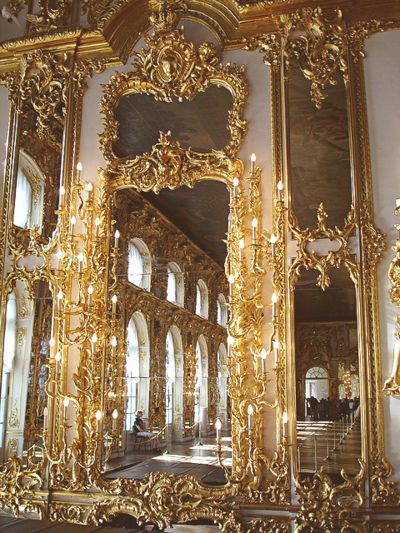 To walk in the imperial gardens with the Tsar and hall of mirrors with king Louis. Me too! Luckily we can escape there through books and series.